Distance: 180 km long. Timing: from 8:00 a.m to 5:30 p.m. 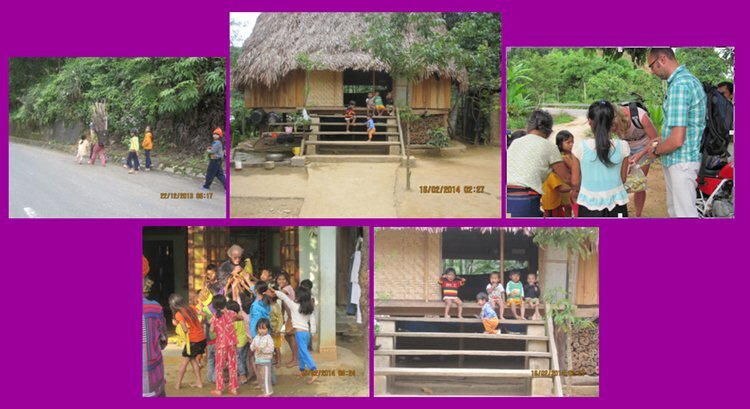 Highlights: Ho Chi Minh trails, beautiful mountainous drive, fresh air, mountain pass, water falls swim, ethnic group villages visit, back side of Vietnam. A day to discover our different beauty apart from beaches is waiting for you. Our drivers appear at your hotel according to departure time. Try your bike or meet your friendly driver. Be ready and … Let’s Go! Drive along the road 14B which used to be main road for U.S Army to go up and down between Hoi An town and mountain bases. A flat road takes you though Green villages with rice fields, sweet corn farms, bamboo trees and many small houses of local farmers. Stop somewhere for some camera shots. After crossing a bridge on the main Thu Bon river, we will meet the new Ho Chi Minh trails. Cool breeze from the river brings you to a mountain beauty, the starting of your awesome day. 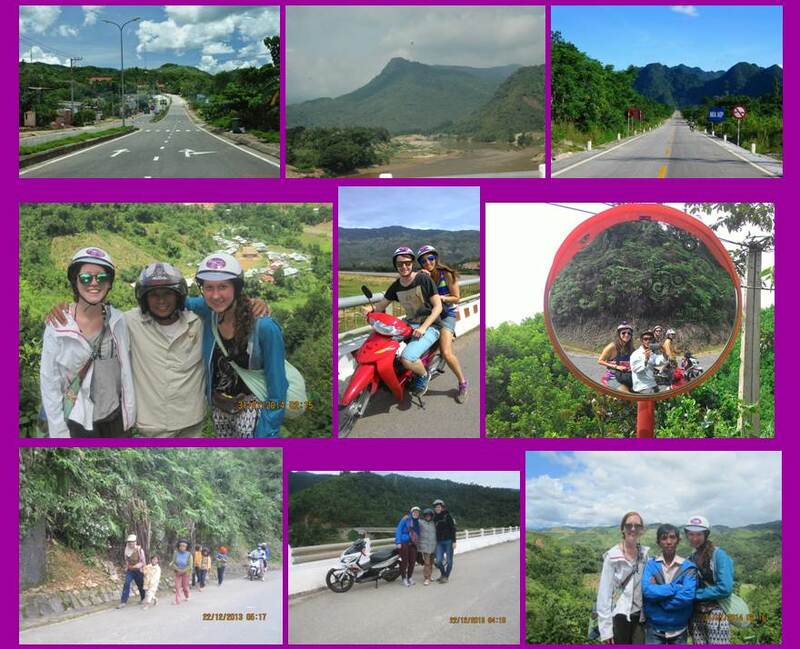 …A drink at a local town with local people around is a great stop before cruising on mythical road: Ho Chi Minh Trails. 60 km long, flowing on the map like a river will take you to a pure mountains area. We will cruise on quiet road, in front of you are mountains, behind you are mountains, on your left are mountains and the same on your right. Mountains everywhere ! You would appear as a small point moving slowly in a huge jungle if we were seen from a helicopter camera ! 2 hours cruising may be a lifetime memory from your holiday to Vietnam. A local café welcomes you with the best local food and drinks will be another great stop. Check again how many beautiful pictures that you got until. Share pictures, good food and drinks bring you back energy with smiles. 30 minutes as just like a glance to this strange living. You may think of how different between your life with internet, city life, modern transportation and so on. But who are happier? Who knows !! 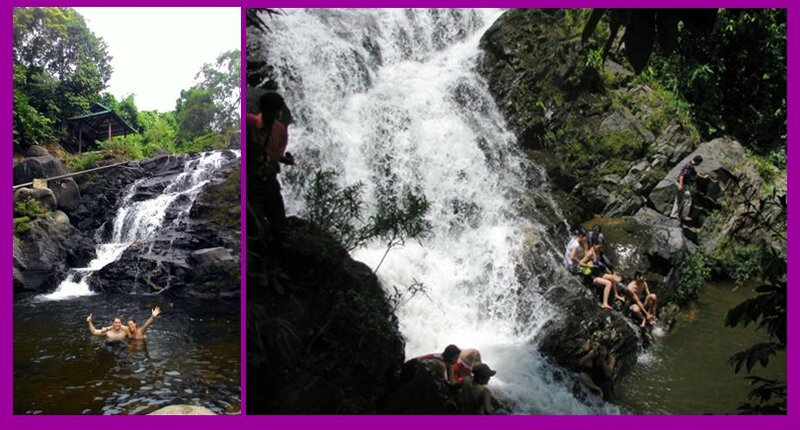 Say goodbye to our new friends, we downhill to the beautiful water fall: “ Ngam Doi”. This is the most beautiful one in Truong Son mountain range in our visiting area. Walk to the water fall, you will see how exciting the people here feel when they have a swim here. So fresh water, so nice scenery around and it’s your world to spend time with. Just enjoy ! …Back to your bike, cruise downhill, go by more mountains with farms nearby, say hello to some local people walking along the paths, enjoy the scenery, the breeze on your face on your way home. It’s absolutely another wonderful day in Vietnam !! Including: insurance, hotel pick up and drop off, bike with driver, tour guide, drinks, lunch, all activities related.